MONDAY, Jan. 22, 2018 (HealthDay News) -- Men who started drinking in their teens are at increased risk for liver disease, Swedish researchers report. "Our study showed that how much you drink in your late teens can predict the risk of developing cirrhosis later in life," said lead investigator Dr. Hannes Hagstrom, with the Center for Digestive Diseases and Karolinska University Hospital in Stockholm. The finding comes from an analysis of data on more than 49,000 men in Sweden who entered military service in 1969-1970, when they were 18 to 20 years old. Over the next 39 years, 383 of the men developed cirrhosis and other types of severe liver disease. Some developed liver failure or died from liver disease. 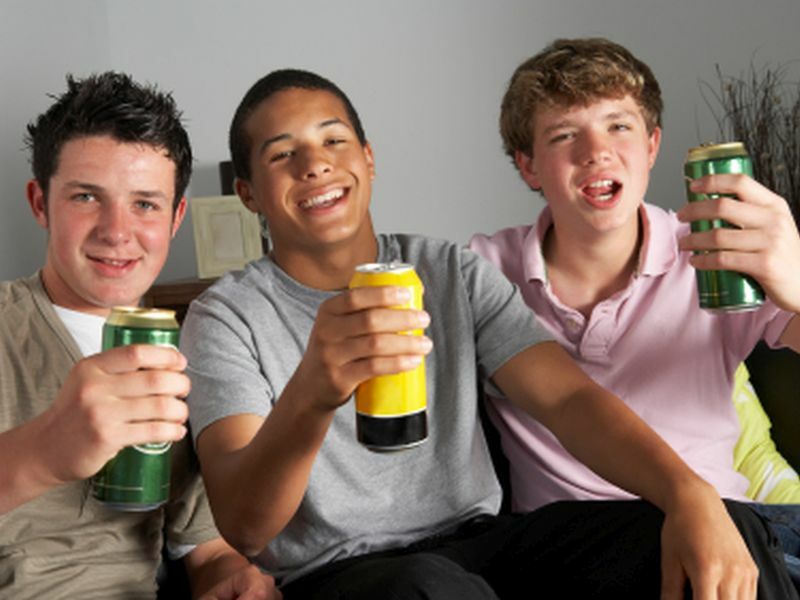 Drinking during the late teen years was associated with an increased risk for liver disease. The association was mostly seen in young men who drank two drinks a day or more, the researchers found. The study was published Jan. 22 in the Journal of Hepatology. The findings indicate that guidelines for safe levels of alcohol consumption by men may need to be reconsidered, the researchers said. Current U.S. guidelines recommend no more than two drinks a day for men. The Swedish researchers said some countries recommend no more than three drinks a day for men to avoid alcoholic liver disease. "However, what can be considered a safe cutoff in men is less clear," Hagstrom said in a journal news release. "If these results lead to lowering the cutoff levels for a 'safe' consumption of alcohol in men, and if men adhere to recommendations, we may see a reduced incidence of alcoholic liver disease in the future," he said. The researchers noted that their findings apply only to men. Alcohol-related liver cirrhosis causes 493,000 deaths a year worldwide, according to the World Health Organization.